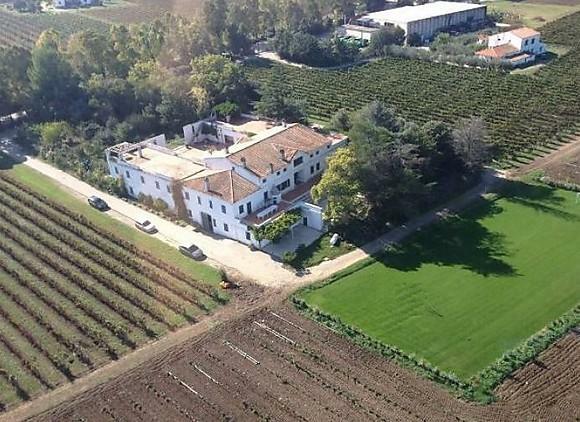 Founded in 1968, the Di Majo estate cultivates more than 200 acres under vine. In order to ensure consistent, high-quality production for all the estate's wines, Alessio Di Majo hired renowned oenologist Riccardo Cotarella as a consultant. In addition to producing quality wine at an outstanding value, the Di Majo family is dedicated to practicing environmentally sound agriculture. The Di Majo Norante winery sits on the estate of the Marquis Norante of Santa Cristina in the region of Molise, along the Adriatic Sea between Puglia and Abruzzo. The cultivation of vines in this area dates back to 500 BC, when the region was inhabited by two pre-Roman civilizations, the Sanniti and the Osci. The estate has been dedicated to growing vines since the 1800s. In the 1960s a modern cantina was constructed and vines were replanted in the Ramitello area. Wine Spectator 87 This offers loads of aromatic graphite and dried herb notes, with ground peppercorn and anise accents, backed by subtle flavors of black currant, mocha, dried cranberry and leather. Light tannins show on the modest finish. Montepulciano with Aglianico. Wine Spectator 88A well-spiced, creamy red, with pine forest and smoke accents to the creamed black cherry and herbed olive flavors. Chewy. Drink now through 2019. Made from 100% Sangiovese grown in the Ramitello and Martarosa vineyards and hand-harvested in October, this wine is aged in stainless steel and large oak barrels for six months to achieve greater smoothness and softness while preserving the supple fruit-forward characteristics of Sangiovese. Bright red in color, aromas of violets and red berries complement undertones of leather and anise. On the palate, this wine is dry and mellow with smooth tannins that make for a crowd-pleasing, easy-to-drink red wine.Pair this wine with antipasti, Bolognese sauces, game, and ripe cheeses. Wine Advocate 90 "The 2012 Aglianico del Molise Riserva Contado shows a savory and spicy character that sets this wine apart from other Aglianico-based wines in Campania and Puglia. This expression seems to have more nerve and energy with grilled herb, licorice, black tar and ripe blackberry fruit.